We've all heard of them. We've all seen the George Foreman grill infomercials. You probably have a couple friends with one. So is it worth the hype? Is this indoor grill and sandwich maker for you? Read on. The idea of this indoor grill is not a new one. Electric panini press sandwich makers are basically the same thing, a two sided grill which sandwiches your food between two heat sources to evenly cook and brown your food. But the George Foreman version touts its ability to remove fat from your food, making it healthier because it is slanted and allows fat and oil to drip into a drip pan, away from your food. So is it worth it? Is this the grill for you? If you think so, go find the right George Foreman model for you! If you aren't sure, read on and I'll help you decide. Not a "true" grill - The George Foreman grill is not a "grill" per se. It is really just a two-sided griddle with ridges. While this won't give your food grilled flavors like an outdoor grill or fire pit, it does cook your food nicely and let fat drip away. 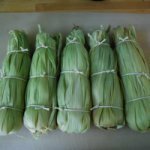 It is versatile in that you can pretty much cook anything you can fit in it, from steaks to burgers, hot dogs and sausages, chicken breasts and pork chops, and more. The raised "grill" ridges do give a grilled appearance to your food and help to caramelize the surface, giving you nice golden grill marks which enhance the flavor and texture of your food. Will it serve your purposes? 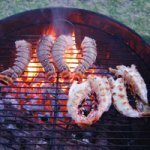 - If you are looking for a true grill with the ability to add wood smoke flavor, this isn't what you are looking for. But, if you are looking for an easy to use indoor grill which evenly cooks a variety of foods quickly, this will definitely do the trick! It will cook fast cooking grilled food well, such as chicken breasts, hot dogs, burgers, steaks, chops, fish steaks and even make toasty sandwiches. It will not make large roasts like whole chicken or duck, ribs, or Chateaubriand. Size - The George Foreman grill models vary tremendously in size. Make sure you get one which will be adequate for you. The smallest models can barely fit more than a small steak or a couple hot dogs. If you have a big appetite, or a big family, you should look around for the bigger models which can hold several steaks, chicken breasts or burgers at once. Another thing to consider is the top burner which closes down on your food. Different models have slightly different mechanics. Some older indoor grills like these had a simple hinge which meant that it pinched your food closer to the hinge, limiting the size and thickness of food you can cook. Newer models have a swivel top that adjusts to larger, thicker cuts or thick sandwiches. Make sure you check that the lid you get is versatile and functional. Features - Different models have different features so shop around for the right one for you. Make sure at the least that yours has an adjustable heat control so that you can cook everything from steak seared at high heat, to fish and sandwiches at lower temperature. Which model? - One of the potential downsides to the George Foreman grill, is that there is no one "George Foreman grill". Rather there are several and they vary tremendously in size, features, appearance and just about everything. 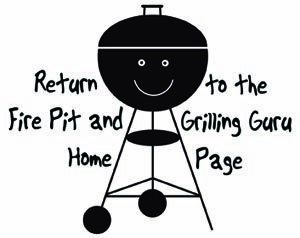 So be sure to shop around and make sure you are getting the indoor grill you are looking for! I've already mentioned different sizes, but also pay attention to the other features. 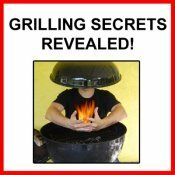 Some grills have adjustable heat control and others do not, or its limited. Adjustable heat control is a must to make a variety of foods. Also, some grills have a separate bun warming feature. This helps to warm your hot dog and/or hamburger buns while you grill your food. Some models with come with other useful accessories as well, so check the packaging and make sure you know all about the grill you are buying before you commit. Good luck finding the perfect George Foreman grill for your needs! You can find a nice selection of different types on Amazon.com, many of them with free shipping! Happy Grilling! Done learning about the George Foreman Grill? Go back to the Indoor Grill page.